Anyone have experience installing Aerocatch hood latches? It looks like it will be very difficult to do so without either having some custom mounts fabbed up, or cutting away part of the underside of the hood. These seem to be pretty popular on Spec Boxsters, so hoping to tap into the collective knowledge here...thanks! 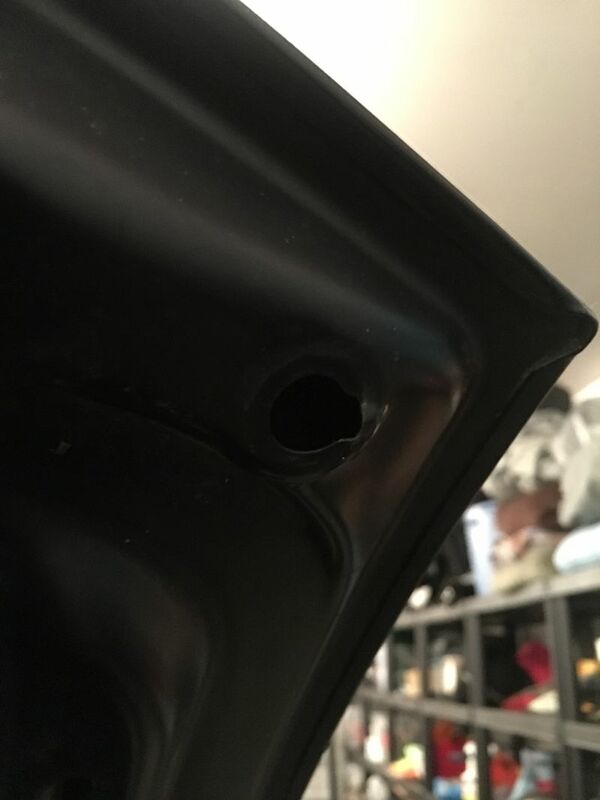 The Boxster's that I have seen with Aero latches have custom mounts for the pins welded inside the corners of the front trunk. The mount creates a diagonal from the side to the front of the trunk so the pin is properly located under the hood. Maybe there are other ways to do this, but this is how I've seen it done. When I saw this, I realized that it wasn't something that I could DIY. I plan to have my shop do the work for me. That's what I was afraid of. I'll tackle all the nuts/bolts/disassembly, but I have no means (or skills) when it comes to custom touches like that. Looks like I have the shop take care of it while the car is in for a cage. Thanks! 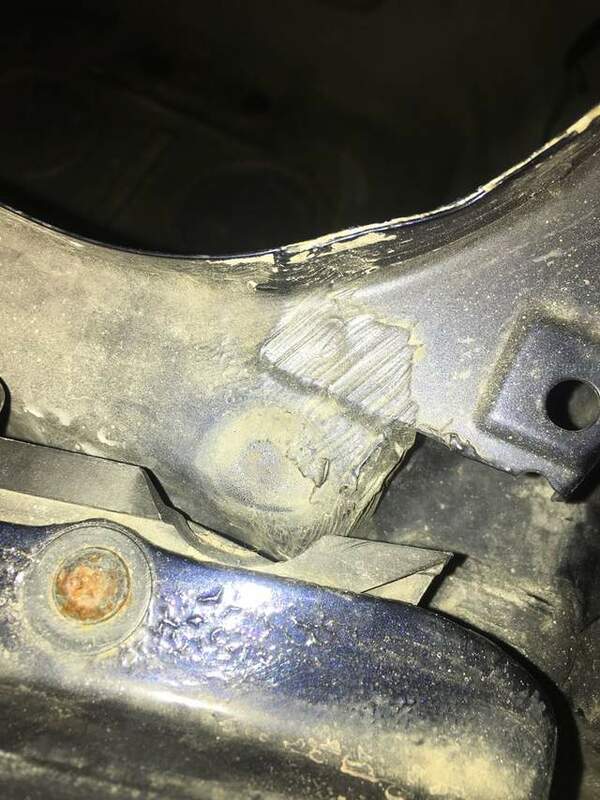 it would be easy enough to remove the bump stop, mount the post where the bumpstop rests (there is good access on the underside of that spot) and get the post to pass through the opening left by the removal of the bumpstop. then all you have to do is cut the hood for the aerocatch. 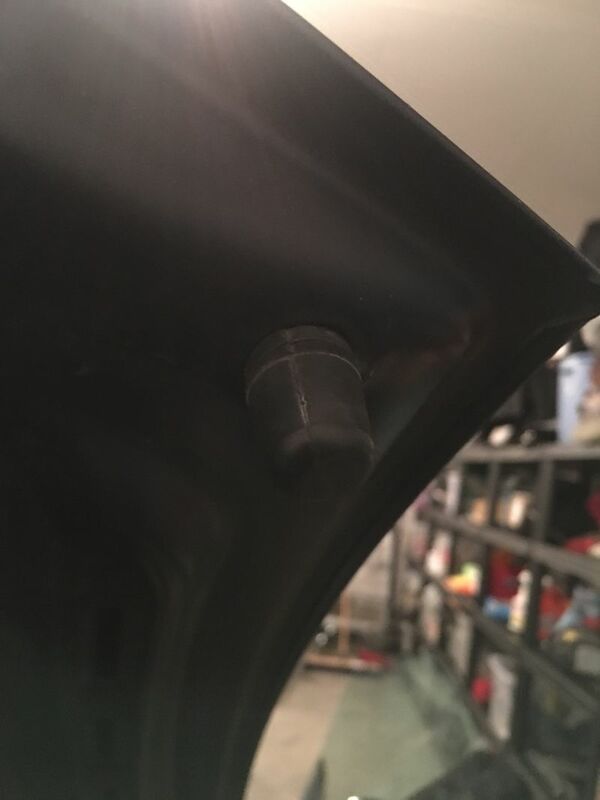 if you still want some bumpstop action, just put a rubber sleeve around the post. That's a good idea, I'll check it tomorrow. I guess cutting away part of the underside of the hood wouldn't actually be that bad. Been busy stripping the rest of the car. Interior is completely gone, but I haven't started whittling down the wiring yet. It still starts, and I found $0.53! 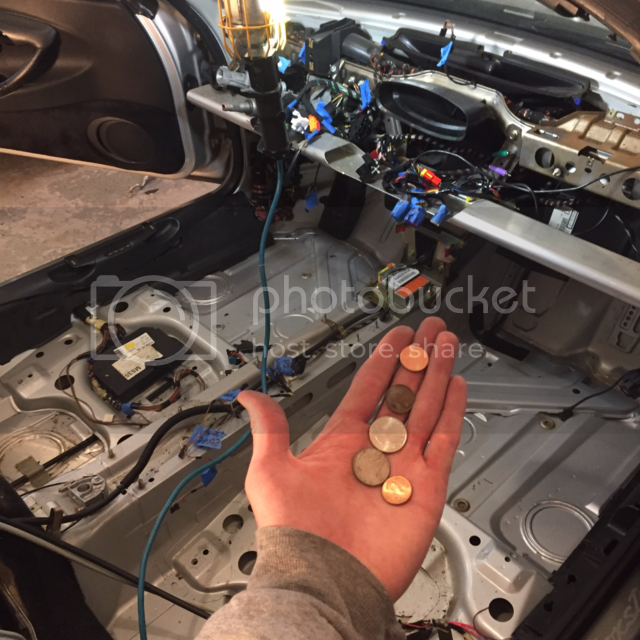 Every aerocatch install I've seen has involved cutting the interior side of the hood. I think it's unavoidable due to the dimensions of the hardware. Then, a new cross bar is installed on which to mount the receiver pole. That said, my recommendation is ... why bother? The stock latches are safe and their weight is insignificant. Cut the release cable to form a pull loop end at the headlight/taillight. i'm prepping a car for nasa and hood pins are required. dunno about spec. spec allows you to remove bumpers too - seems strange that safety requirements for other classes don't apply to spec boxster - perhaps the 2.5's don't get going fast enough for you to hurt yourself ... (kidding). I have the aerolatch, but requires cutting into the hood reinforcement. I have seen the round ones on a car recently and are very slick. Eliminates the issue of breaking a latch arm.